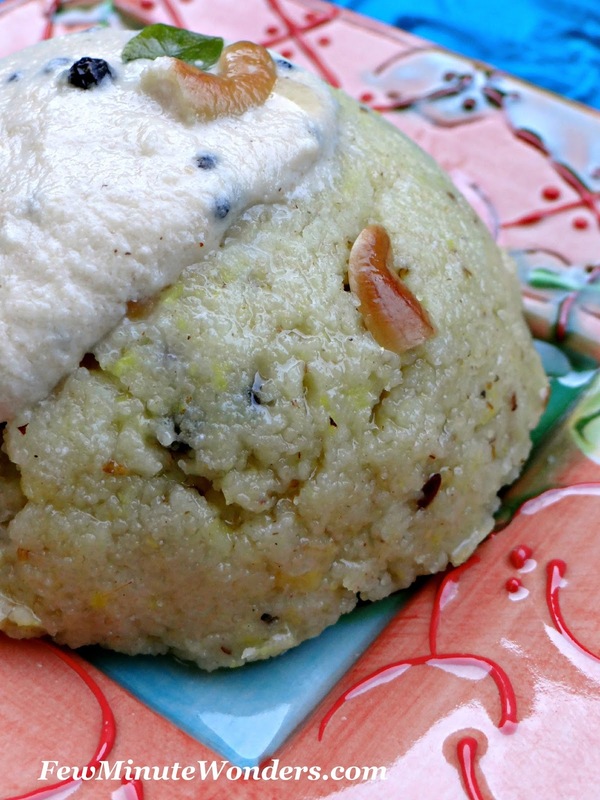 A quick and easy way to fix for breakfast, lunch, tiffin or dinner is rava pongal. It gets done very fast and is delicious too. It has the same flavor and taste of rice ven pongal. 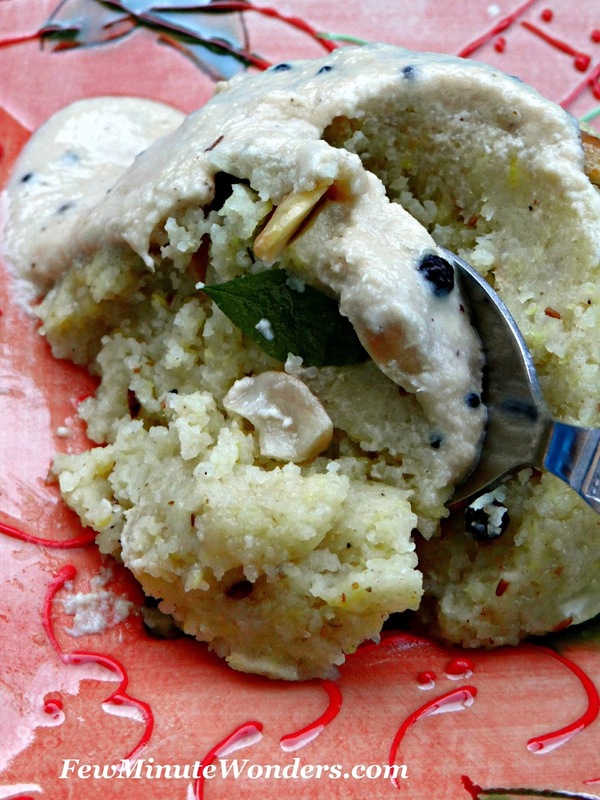 The texture is very important in rava pongal. It has to be soft and fluffy like upma. Roasting the rava or not toasting does not create any difference in texture according to me. It helps in not allowing clumps to form while cooking the rava. There are many ways of preparing this recipe. Here is my version of making it. I served it with pottukadalai chutney. 1. Heat 2 tbsp of oil and 1 tbsp ghee in the pan. Add curry leaves, green chillies, pepper and cumin freshly crush and ginger. Give it a good mix. Add water, salt and moong dal and bring to a boil after giving it a good stir. 2. Add Rava slowing into the boiling liquid while stirring continuously and avoiding lumps. Lower the heat to low, mix and cover with lid. In a minute or two the rava pongal will be well cooked. 3. Heat 1 tbsp on ghee in the seasoning ladle, add the cashew nuts, pepper and cumin seeds and toast them until the pepper pops and cashews gets golden brown. Add it to the pongal and serve it hot with chutney and sambar or gothsu. Wow! you have captured all its goodness! Look at the moist ghee drizzling pongal! Yumm!! ...and wonder how come you couldnt see the comment section! and now you could! Happy to see your message! looks so yummy! 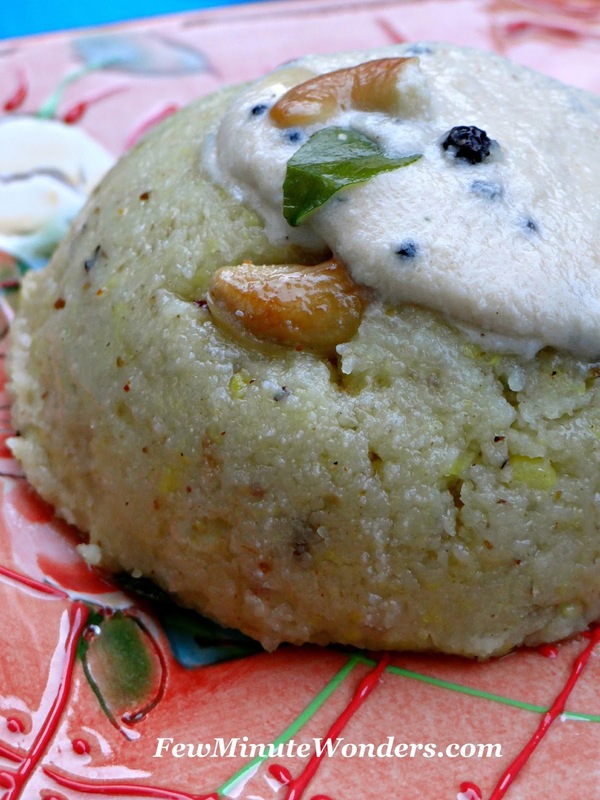 I like the Rava pongal..
Rava Ven pongal looks delicious Love it Srimathi. Creamy yummy.